This coming weekend, I’m going to talk to some Arnhem Together ladies about women and leadership. Me. Yeah, the girl who’s never had a formal leadership position, perhaps ever anywhere. For me to talk about leadership, I needed to reframe it. The working world hasn’t been my place for leadership. It probably never will be. That’s actually alright with me. Where do I feel like a leader? At home. At home, I’m trying to put two human beings into the world who will be kind, responsible, and strong. I’m steering a family towards healthier eating habits for our bodies as well as the earth. I’m coaching myself and my husband to respond from empathy and to stay calm just a moment longer each time we feel anger coming. At home, I’m work every day bring my family along by being the absolute best person I can be, which isn’t so particularly best – but I really am trying. And why isn’t this the model of leadership women can be proud of or embrace or put out in the world? Why aren’t there best-selling books about mother leaders and the enormous an arduous journey they take their families on? Parenting isn’t particularly high-profile work, it turns out. It’s taken for granted by the people who do it and the rest of the world follows suit. But I don’t want to talk about not being hear or seen or acknowledged. I want to think about how powerful this model is. My first instincts were to look to women’s myths. To look to midwives and healers instead of CEOs as examples of leadership. I took a copy of Women who Run with the Wolves by Clariss Pinkola Estés with me on vacation. The subtitle is “Myths and stories of the wild woman archetype.” It seemed like the prefect approach to this leadership question. Then I got distracted. Blame the fairy tales. By the time the women and leadership question came up again, I was up to my elbows in Cinderella. Still am. Thinking about women and leadership in fairy tales is not going to make you particularly happy, though. 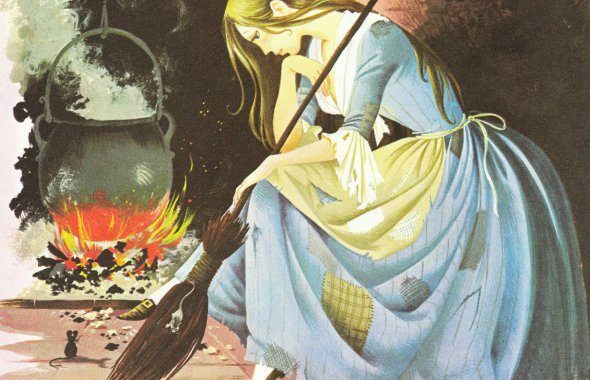 Women in fairy tales fall into two categories. One group is almost entirely without agency; Cinderella, Snow White, Sleeping Beauty. The other group has power and is therefore wicked. Here you can pick your step-mother or witch. At a brief glance, it looks like in fairy tale world, power corrupts fairly absolutely and that the only way women end up happy is if they are complacent, obedient, and kind. This analysis didn’t leave me much happier than the Lean In approach to women and leadership. Is the idea that women can’t handle power? Looking around, I found a couple books about fairy tales and women leaders. One book is called From Cinderella to CEO: how to master the 10 lessons of fairy tales to transform your work life. One academic article described women leaders including Oprah as Cinderalla stories. These didn’t feel to me like they got to the essence of either the fairy tales or the women’s stories. What they did was use a fairy tale to frame familiar themes of leadership as time management and rags-to-riches stories. They did, however, help me see the problem with my first analysis. I was linking leadership and power. Power, whether in business or in magic, isn’t the thing that makes a leader. A leader is made by action. Not sure about that? All I have to do is think back on the “We Have a Dream” exhibit at Nieuwe Kerk in Amsterdam that my son wanted to see last fall. It was about Mahtma Ghandi, Nelson Mandela, and Martin Luther King. Leadership through action. I took that back to my fairy tales and thought more about the unique situation that expats are in. In particular, following spouses who find themselves in foreign situations absent of the external framework of work. It’s not an easy thing to do. Doing it well can be one of the greatest challenges we face. So, I’m getting there, framing leadership as action and not power. Looking to fairy tales for examples and maybe even inspiration. It turns out I’ll be talking about Cinderella again. Still working out the kinks – but ever so eager to find out what folks will think! Posted in Personal Stories and tagged leadership, reflection, women. Love this. There is no one simple form of leadership I agree leadership is more about your action. We all lead in many different roles in our daily lives. It doesn’t have to be someone shouting for the mountain top. You are going to Ace the discussion! Sophie – thanks for stopping by! It can be challenging to have a discussion about leadership that acknowledges a multiplicity of models, especially when we haven’t identified or even thought of all the models yet. Looking forward to making a good start on Saturday! Hi Christine – I’m a friend of Sophie’s (I live in Britain). I love this and your other article using the Cinderella example. I am a leadership development coach and I’ve been considering similar things lately. Women are looking for equality in leadership but I question whether they are doing this by acting ‘as men’ bringing their masculine energy to the fore – even doing is a masculine energy – as in action. It’s the outcome that’s achieved that matters – feminine energy is more likely to wait for emergence and evolution, perhaps innately understanding growth? But this is an internal process – like the one you described of being a good mum by looking at your own behaviours. The external results are not as obvious or measurable- the action not as observable. I wonder if the most loved leaders balance their masculine and feminine energies well? I see Trump (a poor leader IMO) as being overly masculine for example. Obama I think maybe more balanced? We tend to turn to the masculine energy when we want change because they appear to deliver something more tangible. But it’s the feminine energy that actually facilitates change. Organisations measure their success on tangible results so our culture encourages masculine energy in our leaders. But communities which are about everyone having the opportunity to thrive – this is where the feminine energy is valued. Where we have lost community perhaps we’ve lost the value of feminine leadership energy? Hi Lyn – thanks so much for stopping by! I think we struggle as communities with the idea that there’s a single measuring stick. Our worlds are made up of a multiplicity of goals, successes, paths, identities (stopping myself from going on here). Yet still, we tend to think in terms of one form of “winning” and multiple alternatives. The fact that there are alternatives sounds nice, but why are they alternate? Aren’t there, along with masculine and feminine energies, also different cultural approaches to getting things done? Different ways to approach problems and motivate ourselves and others? Can we find space to foster a wide range approaches? Ultimately, I fear the answer is no. Balance is the best we can hope for. But then maybe a terminology shift. Masculine/feminine always feels a bit combative. Us vs them. Active vs passive does the same. I wonder if there are metaphors in really strange places. Animals – I’m thinking of a great video I saw recently, drone footage of border collies herding sheep. It’s magical, but on the ground, there’s chaos, it’s reactive, the sheep move to find peace. Then there’s the Kulning, Swedish herding call, where the shepherdess calls and the animals come, emerging from the mist. Perhaps there’s something there, divorced from gender, about reacting, nipping at heels, or calling a direction and making it so appealing that they follow. Yes! This resonates and I love the herding metaphors you’re using – chaos and organisation. And-both thinking instead of either-or thinking. We need the yin and the yang, the light and the dark, the chaos and the structure, the destruction and the growth. We have to let go to allow new things to emerge. There is a growing movement of reflecting upon our current way of doing things – there is a wonderful film called ‘down to earth’ which started a movement in holland – it’s now coming to Britain which takes a peek at the values of an older way of life – a tribal way of life – where yes, alternatives are choice not something different. The whole person is valued and they create and do whatever their nature draws them too. Where community still exists. That film looks absolutely amazing. Reminds me of Women who Run with the Wolves, a book I really would like to get back to and finish. Perhaps a reason to start a reading group! It’s interesting to see how deeply we feel the loss of contact with ourselves and how much that feels like a loss of contact with the earth – the soil and dirt. These things are old and new, past and future.